Different types of soil can be challenging since you have to know what type of plant would grow healthy for each class or kind of soil you have. Soil not only supports plants but provides the food and water necessary for their growth. Both structure and composition if soil affect how much water and how many nutrients your plants get. Before you plant any flowers, foliage plants, or shrubs, evaluate the type and quality of the soil. If improvements need to be made, make them. Once plants are in the ground, soil improvement is much more difficult. Knowing the different types of soil in your garden is very important. The health of your plants depends on the health of your soil. Certain plants grow better in particular types of soil so if you don’t know what type of soil you have you won’t know what plants will do well in your garden. Also, if you put a plant that doesn’t do well in the type of soil that you have in your garden it might die. All plants do their best when they are settled into the soil of their choice. After you have planned your garden and staked out the measurements, it’s time to assess and know the different types of soil. If the area has already been worked and you, the gardener, know its values, just skip this part. But if you are new at the garden game, the first thing to do is find out if your soil or garden spot can stand in puddles even after a light rain. Even if you’re not practicing organic gardening the more you can build up the soil before you plant the healthier your plants will be. If you’re container gardening then you can buy whatever type of soil you need to grow particular kinds of plants to use in your container but if you’re outdoor gardening then you need to know what type of soil you have to start with. 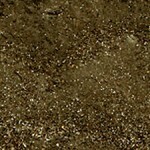 There are three different types of soil and having three main components: sand, silt, and clay. All soil has at least one of those components and might have more than one depending on the area. If your soil is mostly sand then you might have trouble keeping your plants fed and watered correctly. Sand tends to dry very quickly, which means you’ll need to make sure that your plants get extra water when they need it. Sand drains well so you won’t have to worry about excess water but because of the drainage the nutrients intended for the plants get whisked away very quickly. Loam soil is considered the best soil for gardening. 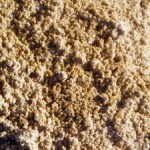 Loam or Sandy Loam is the perfect mixture of sand, silt, and clay. It holds nutrients, drains well, and has enough silt and other materials to really protect and anchor the plant. Nearly any kind of plant can be grown in a loam soil. Clay is the opposite of sand. 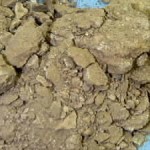 Clay is clumpy and hard and usually very dry. Clay is dense enough to hold water and nutrients that the plants need so it does give the plant a stable food and water source but the density of the clay can make it very difficult for the roots of the plants to grow through the clay. Because of this, annual plants and flowers grow much better in clay soil than perennials do, unless you take steps to minimize the density of the clay by mixing it with mulch and silt and sand. .